Shuttle transportation from Boca Raton to Cocoa Beach gives you an opportunity to experience all the principal cities along the East Coast of Florida. West Palm Beach, Vero Beach, Jupiter, Stuart, Port Saint Lucie, Fort Pierce, and Palm Bay are some of the cities located on I-95. 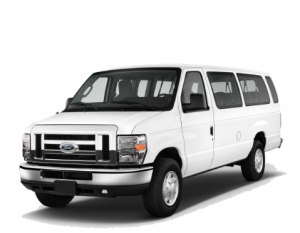 If you are looking for reliable shuttle transportation that could take you anywhere you want to go to Florida, then you can select our shuttle transportation. In this article, you will read about shuttle transportation from Boca Raton to Cocoa Beach. If you are traveling from Boca Raton to Cocoa Beach with us, then the first major city you will find West Palm Beach. It is a favorite international city. There is also one humongous port for visitors, and Palm Beach International Airport is one of the very bustling Airports in Florida. Stuart, Jupiter, Port Saint Lucie and for Pierce are among those city addresses which gives all kinds of fun activities. All these cities offer a vast number of events which will never let you get tired. You can prefer Cocoa Beach, Melbourne, Port Canaveral or Palm Bay as your final destinations. Melbourne Beach Pier and Melbourne Beach are between the charming and peaceful beach. Swimming, fishing, surfing, motor boating, Paragliding and sunbathing are some of the everyday activities here. Though these cities are little, they also allow all kinds of fun and entertaining activities to its guests. A road tour from Cocoa Beach to Boca Raton or from Boca Raton to Cocoa Beach could be exciting because there are always many exciting things to do along the way. Boca Raton shuttle bus service is part of a statewide company called Florida Shuttle, a top-rated customer transportation provider in the state of Florida. Including over 40 destinations throughout the east and west coast with outstanding visitor service. The most common shuttle services are, Boca Raton to Orlando, Boca Raton to Fort Myers, among other cities. Also, we give airport and seaport transfers as well. Our Boca Raton shuttles, give you the flexibility and opportunity to travel between all major cities, airports, and seaport in Florida. Including our Boca Raton private transfer services.